Numerous data analysis and data mining techniques require that data be embedded in a Euclidean space. When faced with symbolic datasets, particularly biological sequence data produced by high-throughput sequencing assays, conventional embedding approaches like binary and k-mer count vectors may be too high dimensional or coarse-grained to learn from the data effectively. Other representation techniques such as Multidimensional Scaling (MDS) and Node2Vec may be inadequate for large datasets as they require recomputing the full embedding from scratch when faced with new, unclassified data. To overcome these issues we amend the graph-theoretic notion of “metric dimension” to that of “multilateration.” Much like trilateration can be used to represent points in the Euclidean plane by their distances to three non-colinear points, multilateration allows us to represent any node in a graph by its distances to a subset of nodes. Unfortunately, the problem of determining a minimal subset and hence the lowest dimensional embedding is NP-complete for general graphs. However, by specializing to Hamming graphs, which are particularly well suited to representing biological sequences, we can readily generate low-dimensional embeddings to map sequences of arbitrary length to a real space. As proof-of-concept, we use MDS, Node2Vec, and multilateration-based embeddings to classify DNA 20-mers centered at intron–exon boundaries. Although these different techniques perform comparably, MDS and Node2Vec potentially suffer from scalability issues with increasing sequence length whereas multilateration provides an efficient means of mapping long genomic sequences. The online version of this article ( https://doi.org/10.1007/s00285-019-01348-1) contains supplementary material, which is available to authorized users. The authors thank the reviewers for their very insightful comments on the original version of this manuscript. This research was partially funded by the NSF IGERT Grant 1144807, and NSF IIS Grant 1836914. 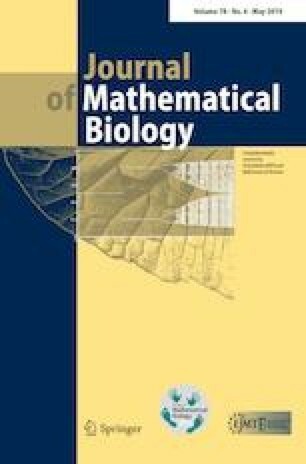 The authors acknowledge the BioFrontiers Computing Core at the University of Colorado–Boulder for providing High-Performance Computing resources (funded by National Institutes of Health 1S10OD012300), supported by BioFrontiers IT group.